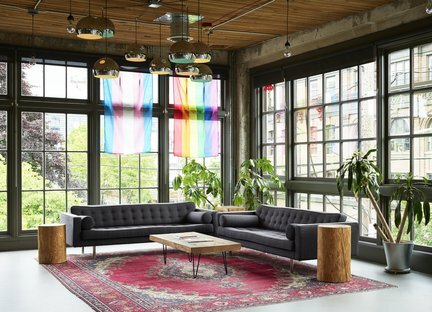 The architects from goCStudio have crafted a multifunctional space for Substantial in a 100-year-old building in Seattle, making the most of the existing architectural beauty. 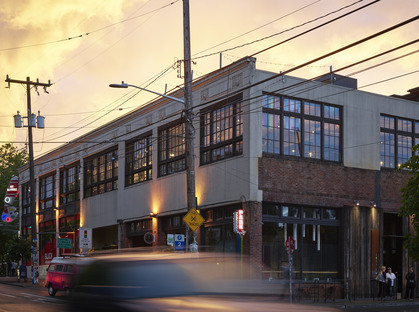 Take the district of Capitol Hill, the centre of Seattle's thriving nightlife and entertainment scene and a bastion of musical culture, grunge in particular, as well as the host of the Block Party, one of the Washington State capital's leading events and add a rapidly expanding company. 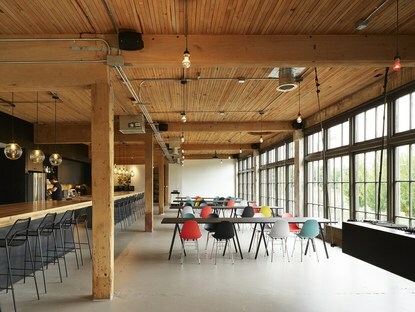 Digitial product studio Substantial moved its offices to the first floor in 2013. 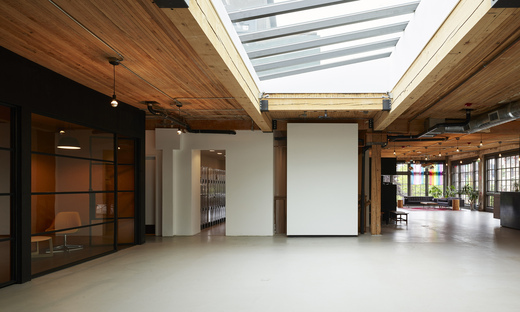 The 1300-square metre area in an old building has become too small and now the studio is expanding to meet its needs. At the same time, it was necessary to preserve the character of the original features, including bare bricks, old Douglas fir beams and large, industrial-style window walls. 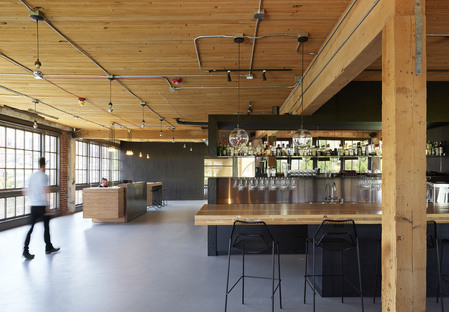 The architects from goCStudio, Jon Gentry and Aimée O'Carroll, first attempted to grasp the dynamics and use of the spaces that now host a growing number of events. 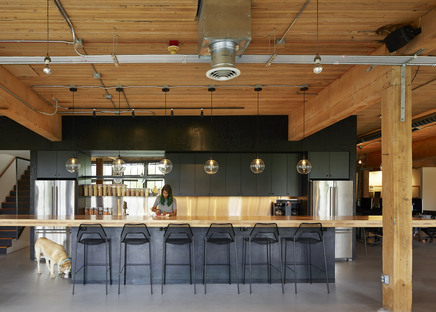 They came up with the concept of a “forum”, a place to get together for both social and professional functions, a real focal point of office life. The proposed solutions play a great deal with the old materials already present and make the most of them. 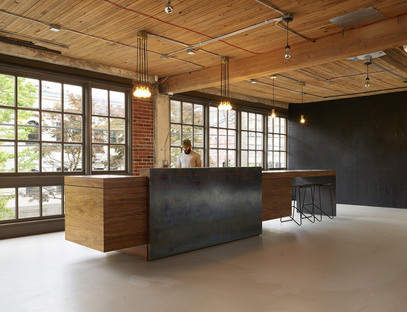 For example, all the rooms have retained the large, industrial style as a specific reference to the building's history and the designers repurposed the old steel entry door for the 6-metre long reception desk. The project by goCStudio focuses a lot on natural light thanks to the new, large skylight crafted above the forum area, the focal point of the whole intervention. The opening of different perspectives on the floor brings in even more light to the various spaces used for different purposes. At the same time, there is plenty of leeway to manage and configure those spaces to meet the needs of the moment. With the refurbishment of the Substantial offices, the goCStudio architects confirm their great attention to existing buildings and the overall comfort of their users and at the same time focus on reusing materials that create a great contrast with the new elements.